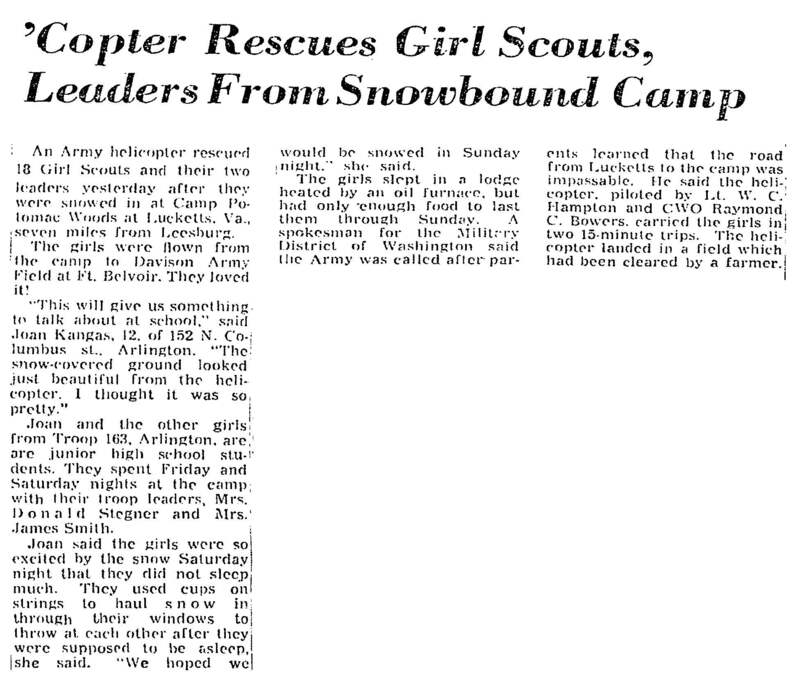 Who remembers the Girl Scout troop that became snowbound at Camp Potomac Woods? 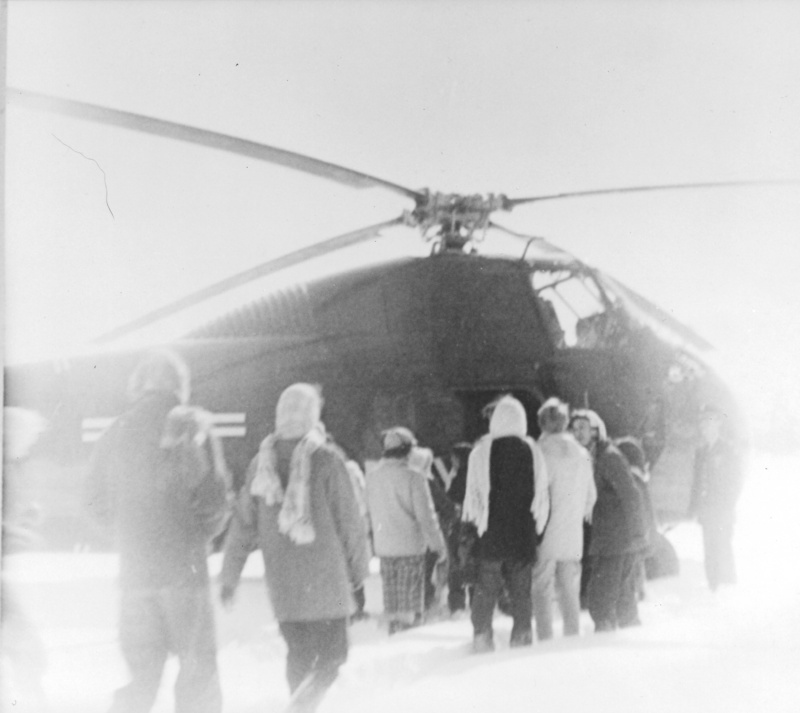 Helicopter from Fort Belvoir airlifts Arlington Troop 163 from Camp Potomac Woods in 1958. This entry was posted in Camps and tagged Arlington Girl Scouts, blizzard, Camp Potomac Woods, camping, Fort Belvoir, Girl Scout camps, Girl Scout Council of the Nation's Capital, Girl Scout history, Girl Scouts, GSCNC, Potomac Woods. Bookmark the permalink.